Home / Columns / How Can Bray Wyatt Use His Supernatural Powers? Heel Turn: How Can Bray Wyatt Use His Supernatural Powers? Bray Wyatt has usurped both Kane and the Undertaker’s abilities to control fire and lightning from within the arena. Fans in the WWE Universe could have never imagined this happening! How could Bray Wyatt assume the supernatural powers bestowed to both Kane and the Undertaker? How will Bray use these powers in the future? Should WWE fans expect a fireworks show when the Wyatt family approaches the squared circle? The WWE should be commended for their efforts as a brilliant marketing entity; the WWE has successfully kept Kane and the Undertaker relevant over the past few decades by inventing and reinventing these characters. You could say that the Undertaker alone is one of the most well marketed people in the history of sports entertainment. Could Bray Wyatt follow in the footsteps of the dead man? Bray Wyatt could carry on the supernatural legacy that originated with Kane and the Undertaker. Fans enjoy having their suspension of disbelief tested and the WWE knows this all too well. That’s why it is important for the WWE to carry on a legacy of supernatural occurrences because it can be difficult to create these types of characters out of thin air. Long after Kane and the Undertaker have retired, WWE arenas will continue to light up with the occasional fireball or lightning strike that all started with these two legendary WWE wrestlers. Bray Wyatt can use the fire and lightning to strike fear into his opponents. Some opponents will not be afraid of the fire and lightning, but everyone who has to deal with it can be forced into a weakened state due to the element of surprise. This is something that makes it harder to fight Bray Wyatt, as he will be the one competitor that no one wants to tangle with because he has supernatural abilities at his disposal. Young fans will remember the spectacle of Bray Wyatt as being crazy, creepy and fun. Fans that remember the Undertaker of the 90s will see Bray Wyatt and know that this all started with the Undertaker. The WWE does not want the Undertaker’s legacy to fade. This is very important to note because someone has to carry the torch, so to say, as being the character who represents death, destruction and the bizarre. 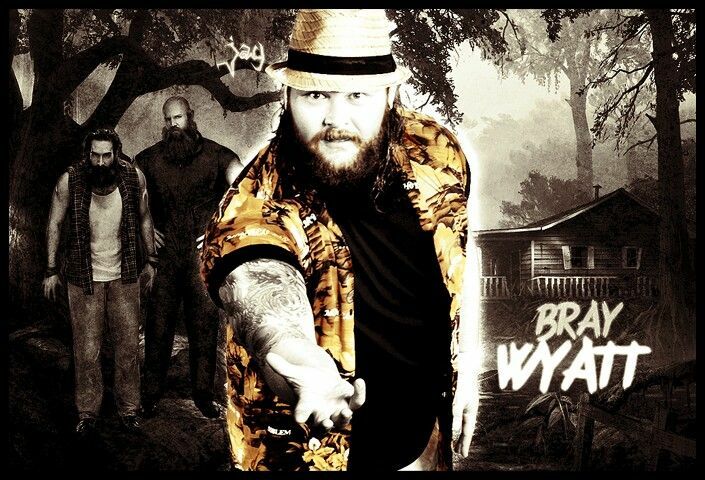 Bray Wyatt seems to be the perfect fit. If the WWE doesn’t capitalize on Bray Wyatt, they’d essentially give up on all of the marketing that they’ve sunk into the Undertaker and his brand over the years. Now that Bray Wyatt will be able to use fire and lightning from above to highlight his supernatural powers, the Wyatt Family itself has become the stable in the WWE most synonymous with death and destruction. If Bray Wyatt is able to usurp both the Undertaker and Kane’s supernatural powers, what else can Wyatt take from other WWE competitors? Wyatt’s creepy entrance continues to dazzle WWE fans all around the world. One question looms: What will Bray Wyatt do next?